Back in May, I received an email that read something like this, “Work out for 7-20 minutes, no more than once a week, to increase strength while minimizing the risk of injury.” Pause there. I know what you’re thinking because you, me and everyone else I’ve talked to has had the same reaction. Clever marketing BS right? But I was curious. I responded to the email, set up my intro appointment at MedX Precision Fitness and now, fast forward a few months, I’m a total believer! I am definitely stronger (with the numbers to prove it) and my lungs feel good. While teaching fitness classes, I don’t need to “catch my breath” as often as before I started training at MedX. So how is it possible to get results training only 7-20 minutes a week? 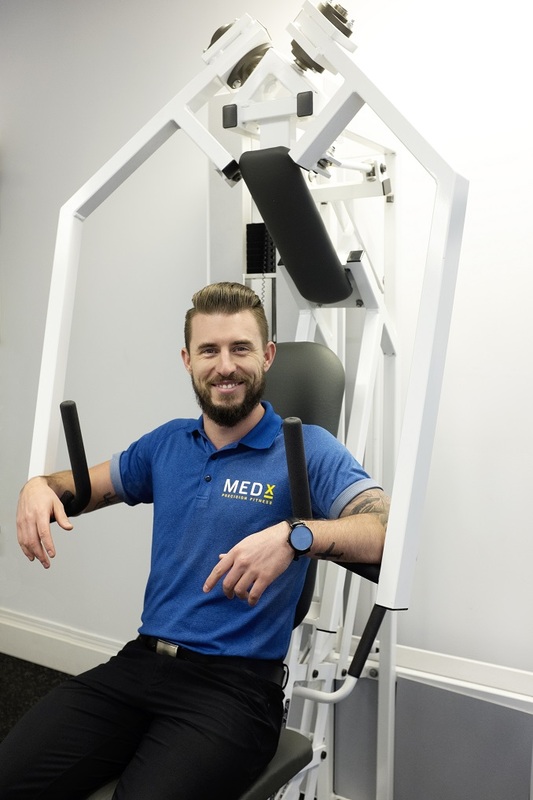 Well it’s simple really; MedX follows a scientific protocol that raises the intensity of the exercise to such a level that 1) you can only really endure 20 minutes of it and 2) your body needs roughly a week to recover from it. Not just recover but adapt and grow stronger. The risk of injury through speed and force is also taken out of the equation since the exercises are performed either motionless or slow moving. You don’t even work up a sweat because the training rooms are kept at an optimal temperature to limit heat build-up, allowing you to work harder and not waste energy on trying to cool down. 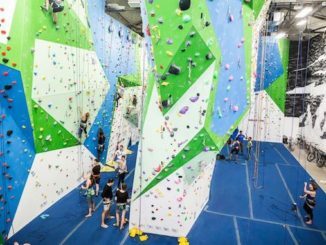 Nothing about MedX feels like a typical gym. There’s no pumping tunes, there’s no pushy sales team, there’s no selfies in front of the mirror and there’s no “I don’t know what to do, so I’ll just go on the treadmill for an hour.” It’s a personalized one-on-one session every time you go. Though intense, the workout is rewarding and gives you results. Plus, you’ll love working with Blair Wilson, president of MedX, and his team. He’s incredibly knowledgeable, which you learn as he talks your way through the exercises, and easy-going. In fact, even though they have a “no-whining” rule on the wall, I’ve definitely broken it and still Blair takes me back each week! If you are a non-believer, like I was, it will only take the introductory package to convert you. The package includes three visits for $199. Your first being an hour long introductory session, then two more 30-minute workouts and one Bod Pod body composition reading. 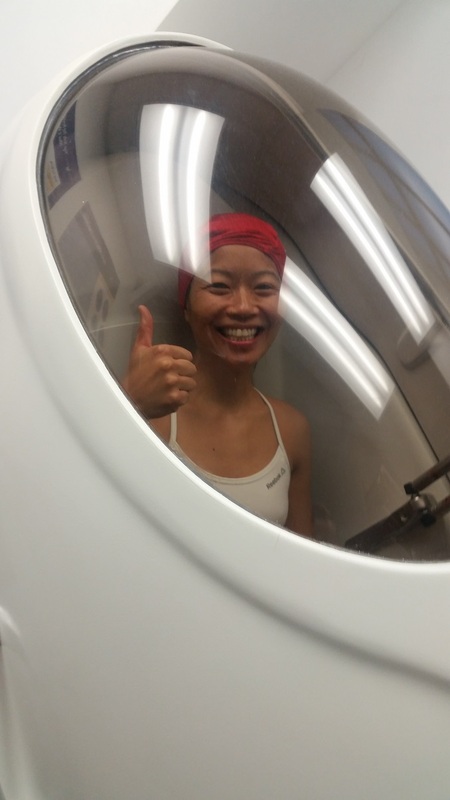 MedX has one of only a few publicly available Bod Pod machines in the GTA. It is one of the most accurate ways to determine body fat percentage and lean muscle mass percentage. It’s safe, except from the fashion police since a swim cap and spandex are required, and it’s non-invasive. I give it a big thumbs up! For more information and pricing, visit their website. And continue reading for my interview with Blair. How long has MedX been open in Toronto? Tell us why and how you got started? MedX has been operational for 6 years now! I got into the industry at a young age due to injury, and had a passion for both physiology, and understanding the whys of exercise. After a long period of research and implementation, I saw an opening in the marketplace here in Toronto, and established our brand in order to be able to help people. I had an incredible mentor right from the get-go named John Little. All of that research and implementation was his doing. Had he thought I was a brat when we first met as I was undertaking some pre-surgery strength training with him; I wouldn’t be where I am today. Very grateful for that guy, and everything he has done for me over the years. I also have to give a HUGE shout out to my parent’s as well. They are incredible guidance counsellors, having helped me work through many issues over the years. If it really only takes 20 minutes of exercise once a week, then why has it not caught on for the general public yet? Don’t we all want a “quick fix” for weight loss and strength gain? This is a tough one to answer, and there have actually been some interesting studies done on the topic. I have a few different theories of why this is the case, but the most prominent, and relatable one is probably the simplest. Folklore is a powerful tool. There are many different modalities of exercise out there; some of which are efficient and some aren’t. Some are risky (from an injury perspective) and some aren’t. At the end of the day; people tend to gravitate towards the easiest thing (perceived effort) and the thing that ‘that one guy/girl’ does because he/she has great abs/biceps/glutes/etc. Many people don’t know why they’re doing what they’re doing; they simply watch and then act with little to no substance for the matter. Couple that with our ever decreasing levels of prescribed exercise, and you find yourself immersed in the observation of a seemingly global anti-gravity world of people that think things like walking/steady-state is a suitable exercise. This type of thinking tends to pave the path to sarcopenia with a 24k gold sidewalk, and leads to many issues in aging. Even in studies that compare the folklore approach with the evidence-based approach, study participants tend to revert back to the 3-sets of 10-reps and exercise bike workouts even after going through 12-weeks of supervised high-intensity sessions and getting better gains in every measured marker. At the end of the day I believe it’s an education thing. Hammering the point home to people that exercise has to be of a certain intensity to stimulate a proper response physiologically is important. Less than 15% of the population participates in some form of resistance training on a weekly basis, and this fact rears its ugly head when we look at the statistics of osteoporosis, type 2 diabetes, etc. It has to change. Who can benefit from this type of training? Can it be used as rehabilitation? What if someone is recovering from an injury? You’d be hard-pressed to find a cohort of people that won’t benefit from a training regime that focuses on being intense, brief, infrequent, safe, and sustainable. 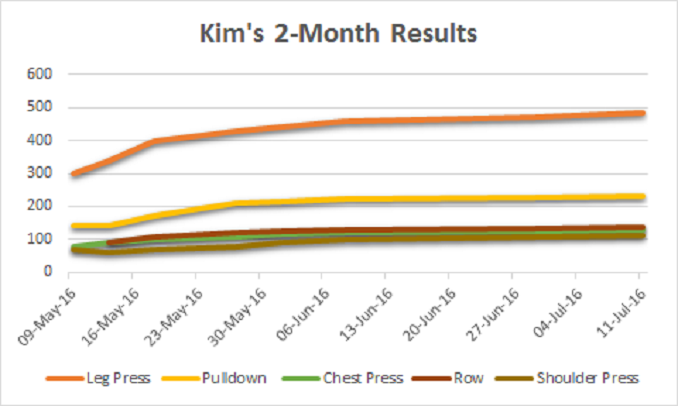 Our outlook is entrenched in progression, and measuring that progress on every scale we have at our disposal (body composition & workout metric data). Intense doesn’t have to mean unsafe; in fact when you focus on safety; you can make the workout much more productive! We use it as a rehab tool day in and day out at my facility. From simple back mobility movements, all the way up to knee or hip replacement rehab. Safety is always paramount. The same holds true for injury recovery. If you have even the tiniest bit of pain-free range of motion; you can apply a resistance to the area (SAFELY) to stimulate an upregulation of blood flow and metabolic processes which will in turn fuel the recovery fires and aide in the healing. Any kind of healing is a blood-driven process after all, so as long as you are paying attention to biomechanical principles, safety, and ability; you’re good to go. 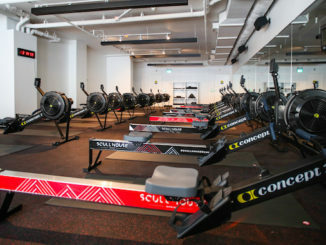 Will clients always have to train at MedX or can they eventually do the workout on their own? One of the reason’s The MedX Method is so successful is due to the fact that our trainers are able to push people to continue through the difficulty for longer than they are willing to work on their own. The intensity of the stimulus determines the reaction you get from the exercise, and our brains are hardwired to avoid the type of exertion we are required to confront if we want to actualize physiological benefit. 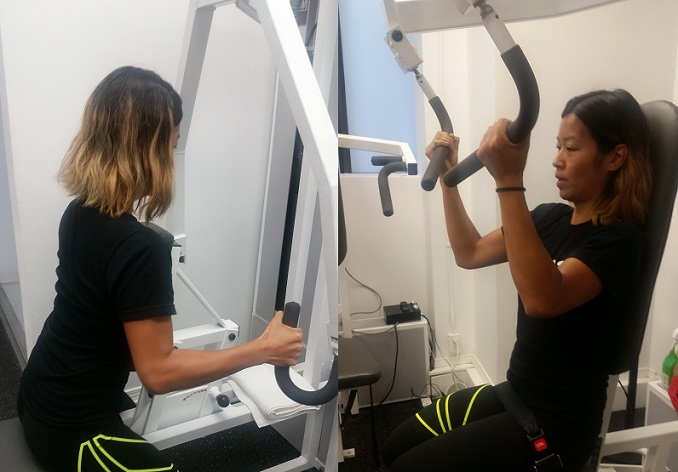 Having someone in the room with extensive knowledge of not only how muscles work, but also how the brain is working, is of tremendous benefit, and also the biggest reason we suggest having a competent trainer certified through HIT Uni to supervise your resistance training. Where do you see MedX in 5, 10, 20 years? In five years I’d love to have another location or two here in the city. In 10 years I’d like to see MedX partnered with complementary service providers, and all under one roof in a “one-stop-shop” centre for betterment. In 20 years I would love to be spending my time enjoying all of the things I still enjoy today. Tell us about the other initiatives you’re working on. At the beginning of June, MedX proudly joined forces with the Canadian Sarcopenia Foundation. The Canadian Sarcopenia Foundation (CSF) is Canada’s first not-for-profit charity dedicated to preventing and reversing the course of metabolic disease and sarcopenia, the progressive loss of muscle mass and physical function which occurs with aging, affecting adults beginning at the age of 30. 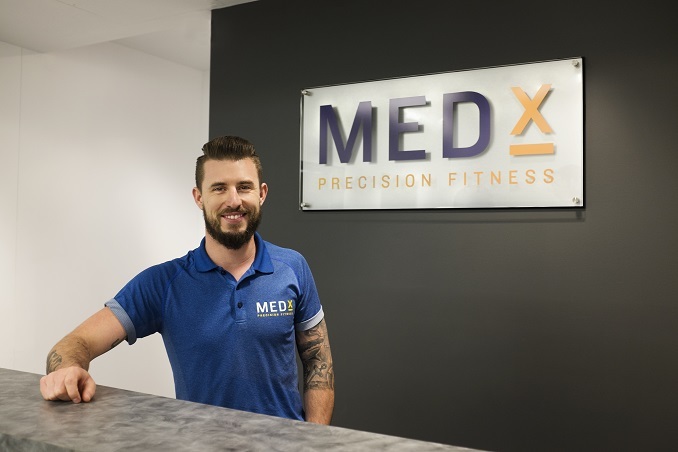 MedX Precision Fitness is set to be the official evidence-based resistance training facilitator for the foundation, and in charge of establishing partnerships with other like-minded facilities nationwide to connect at-need individuals with qualified practitioners. If you want to lead the orchestra; you first must turn your back on the crowd.